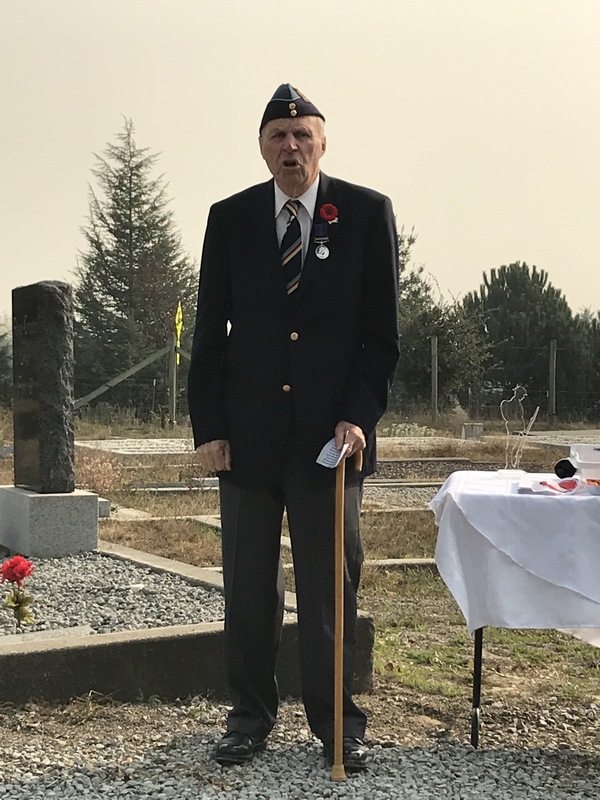 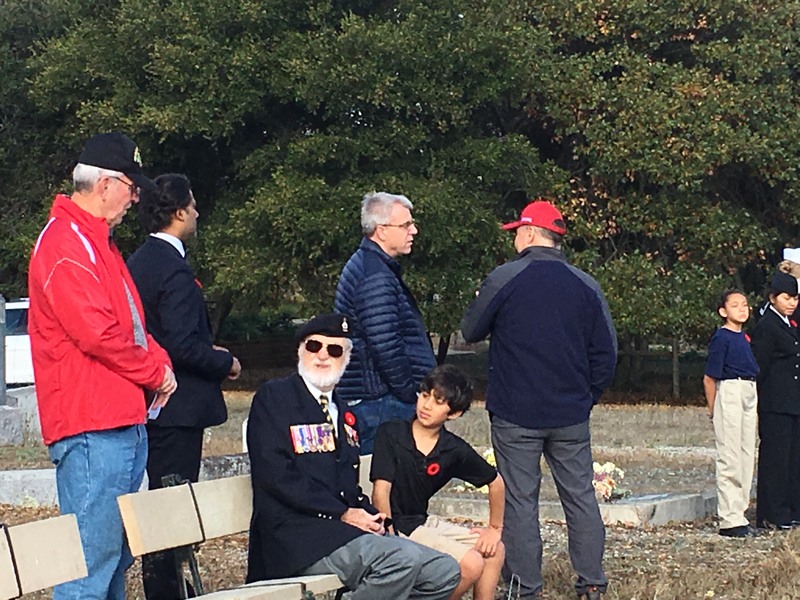 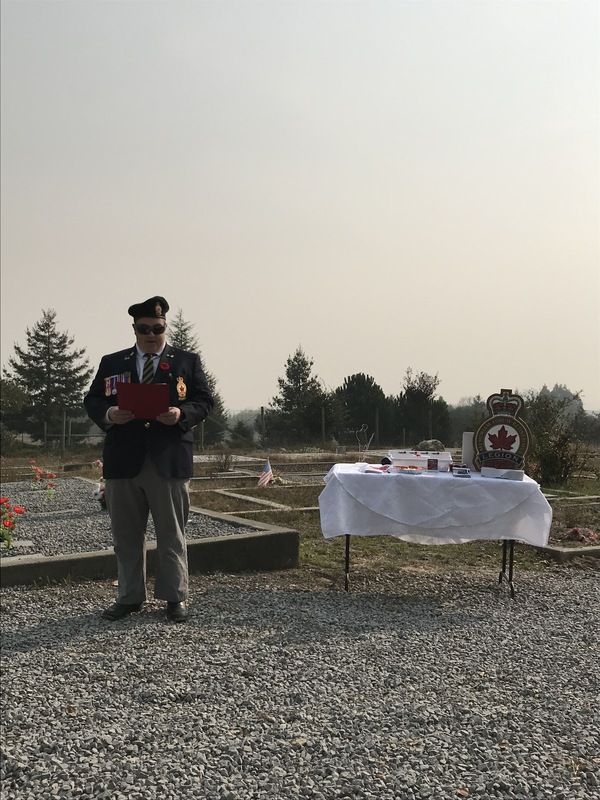 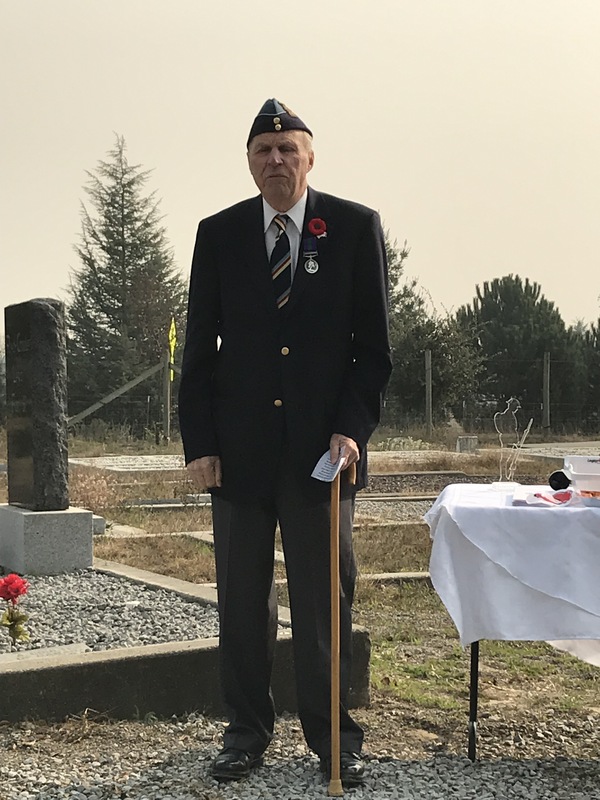 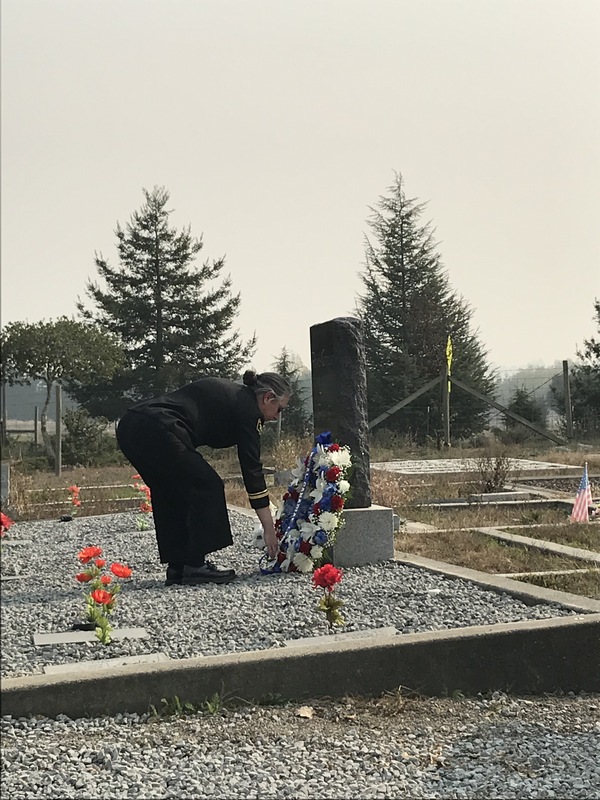 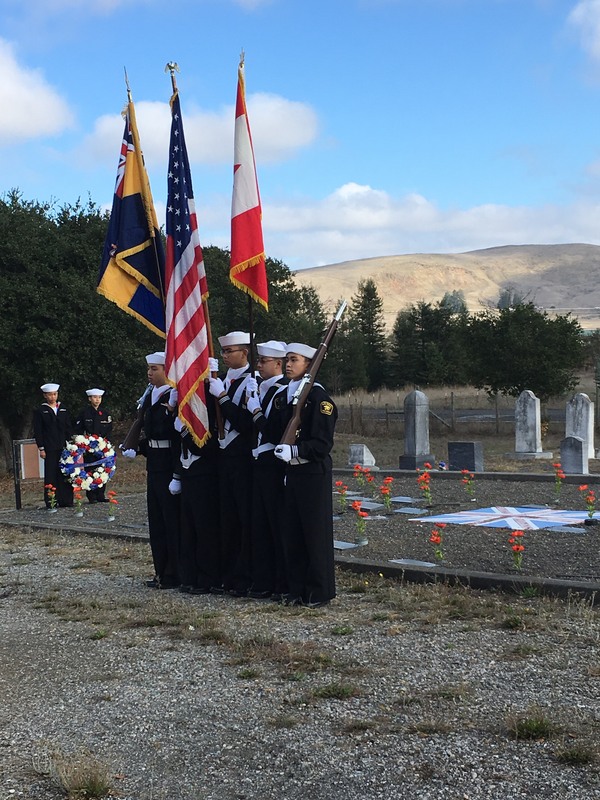 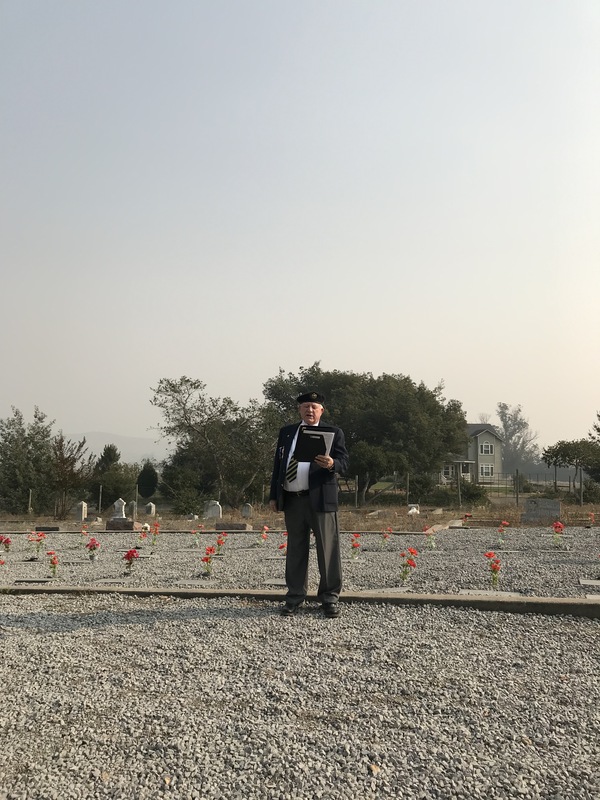 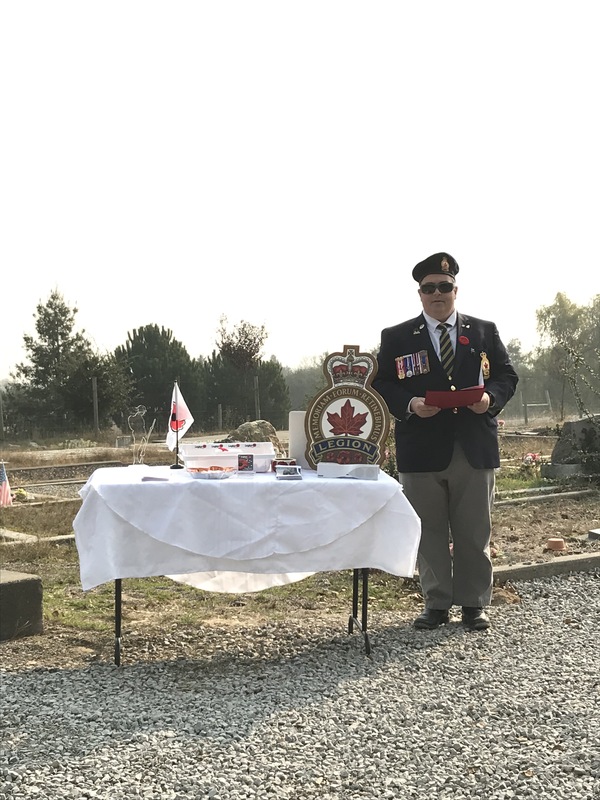 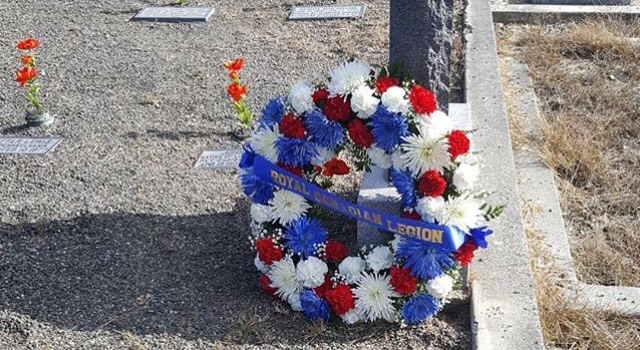 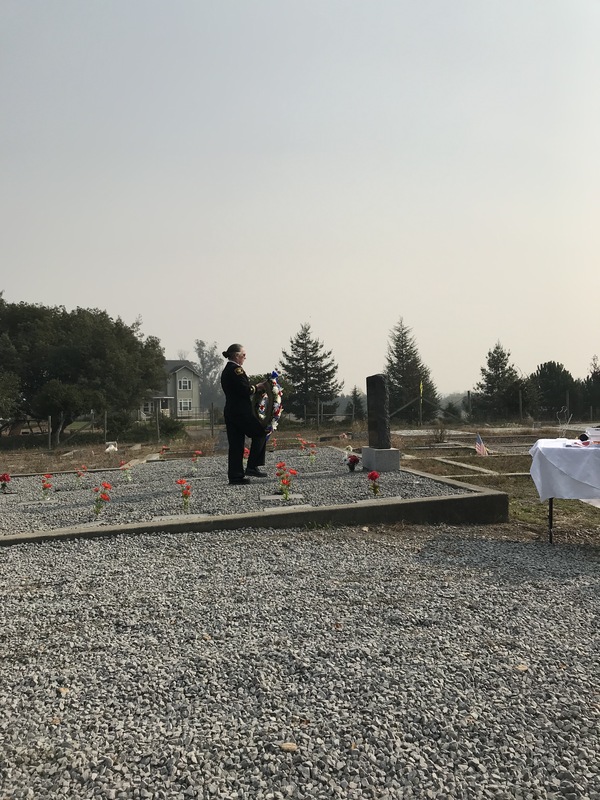 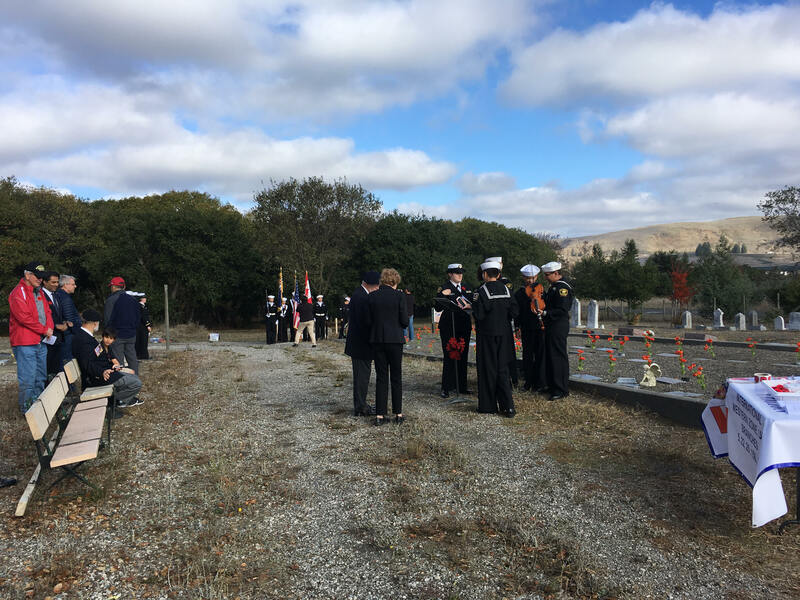 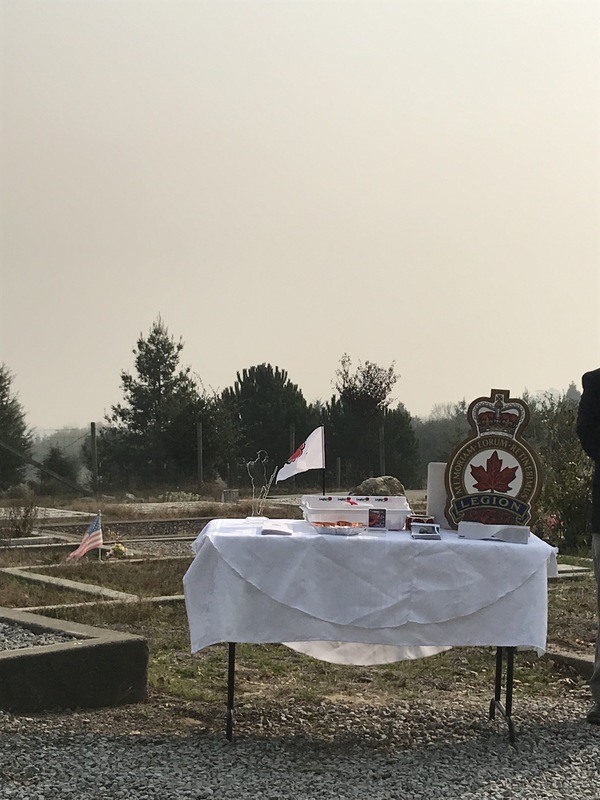 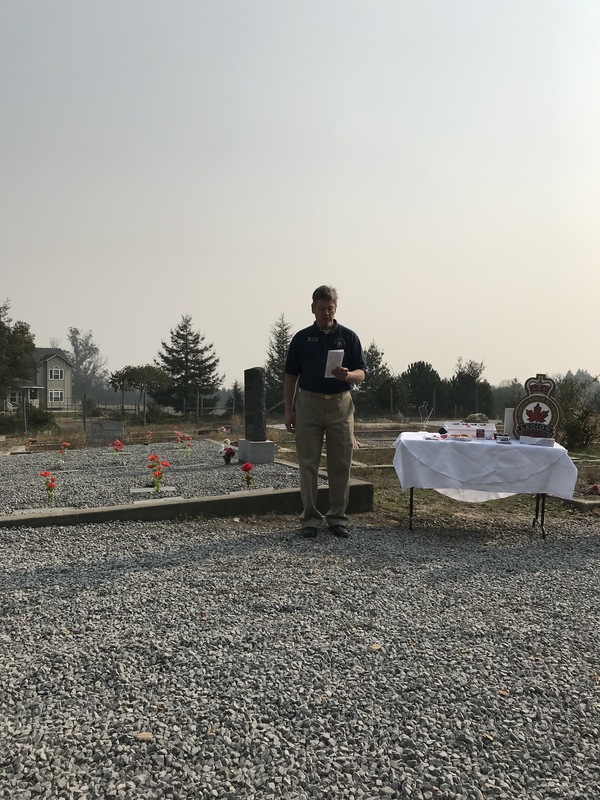 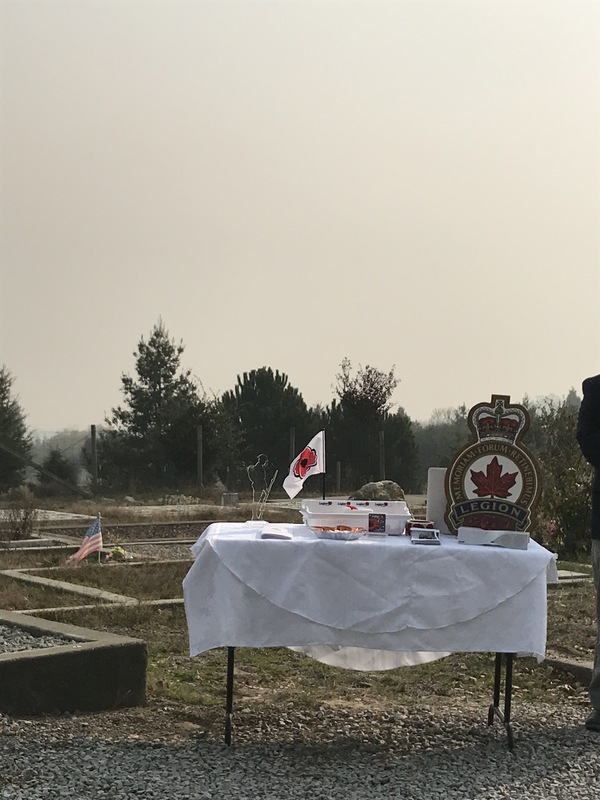 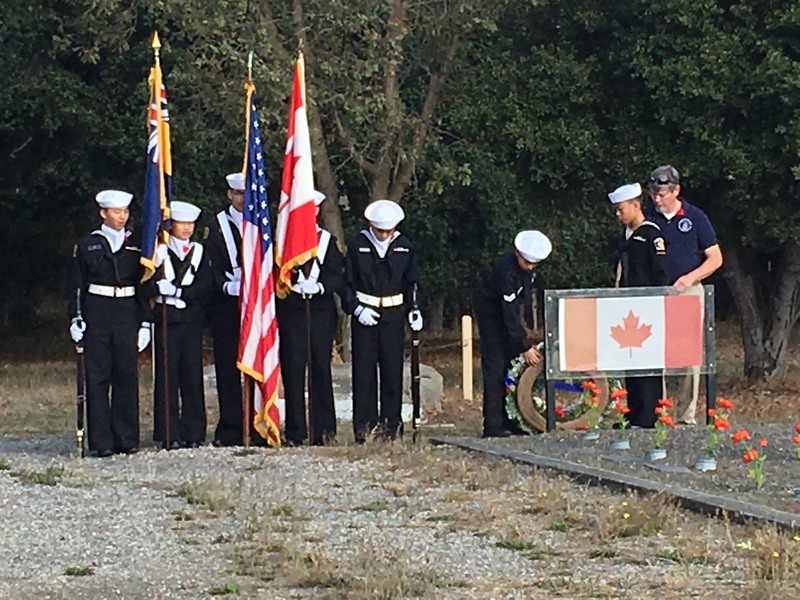 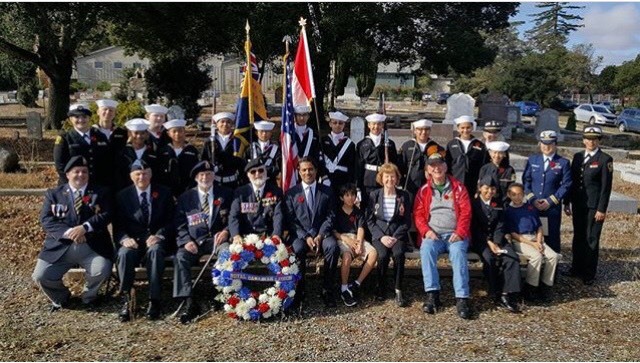 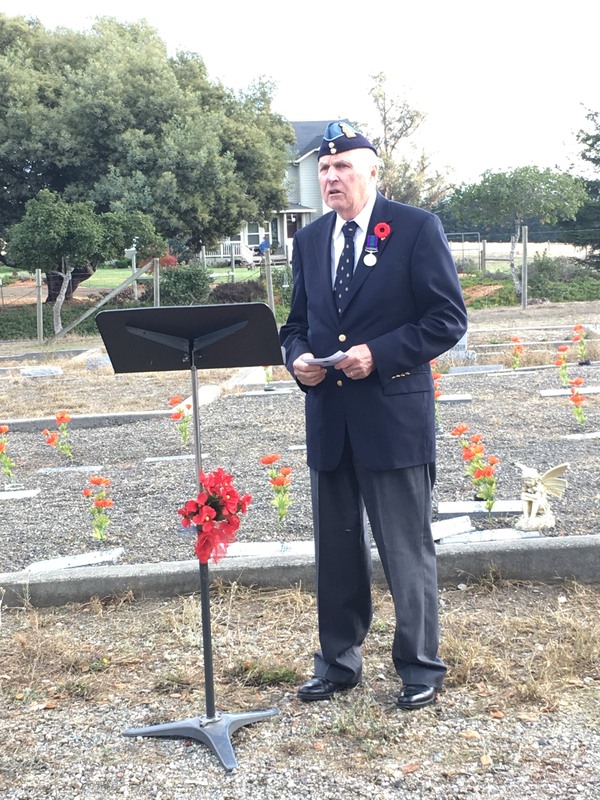 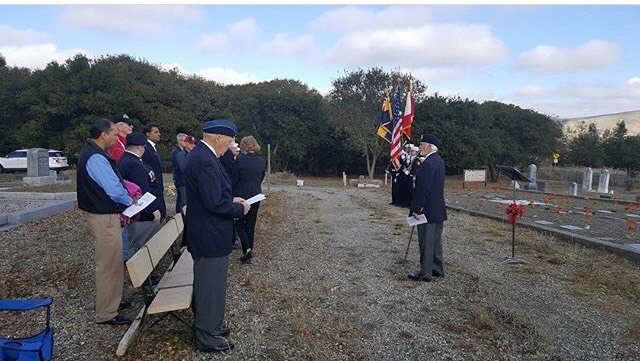 Each year the Royal Canadian Legion US Zone, Branch #25 representing the San Francisco Bay area, observes Remembrance Day at Liberty Cemetery in Petaluma, CA. 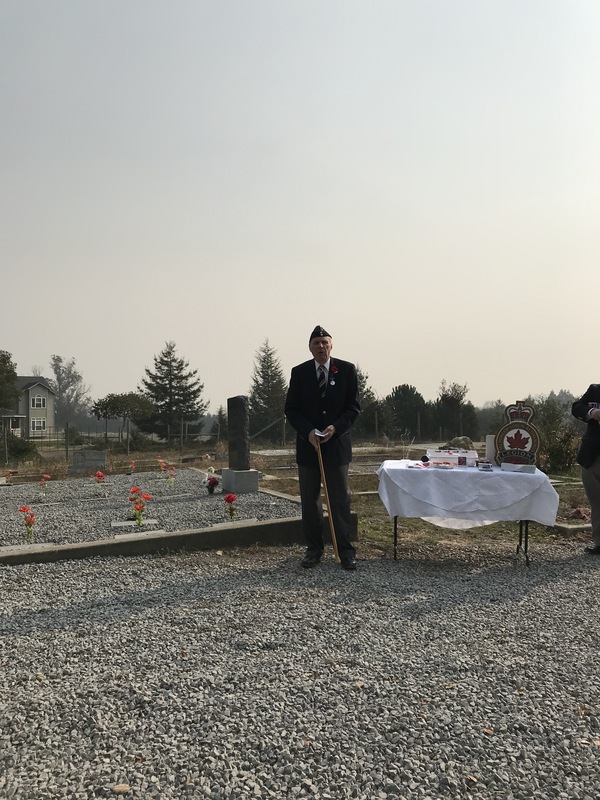 The 2017 ceremony began around 10:30am and lasted approximately 30 minutes. 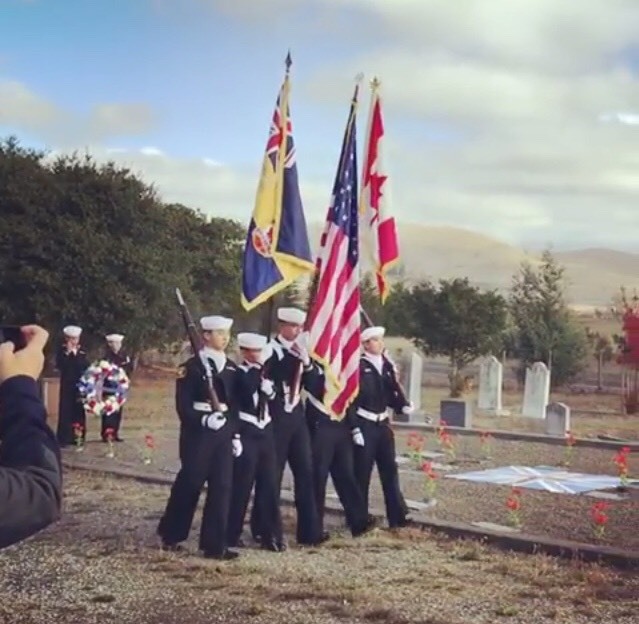 As always, our U.S. 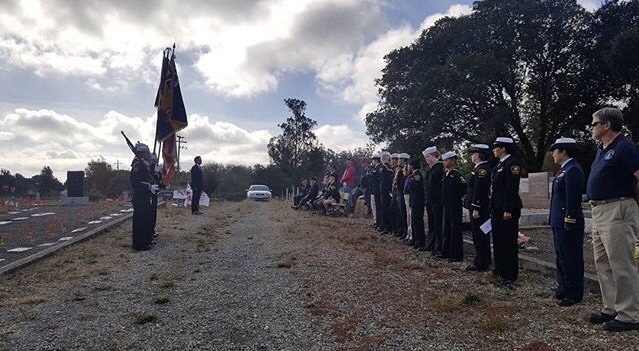 Naval Sea Cadet Corps (USNSCC) Arkansas Division partners participated (and we thank them for their continued support). 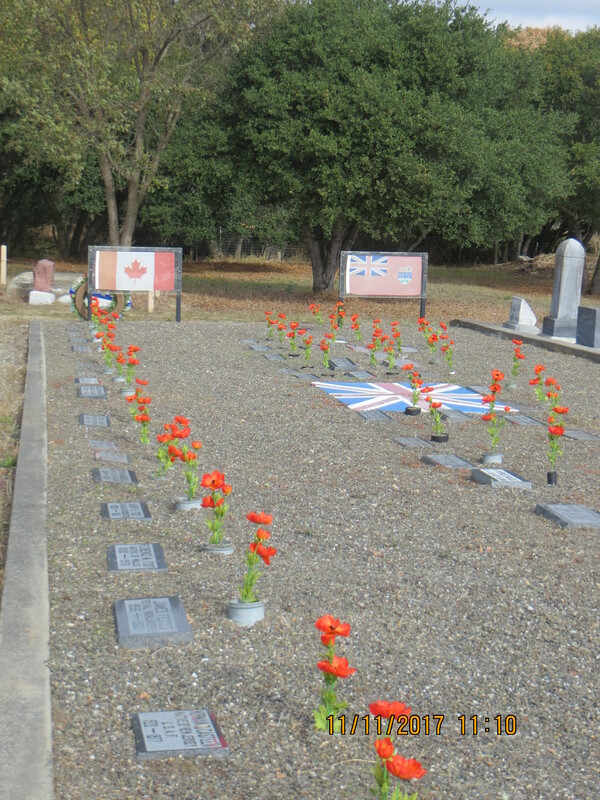 Every year, Comrade Hugh Campion and his wife Pearl tidy the area and place the poppies at each marker, which are a tribute to those buried here at Liberty Cemetery. 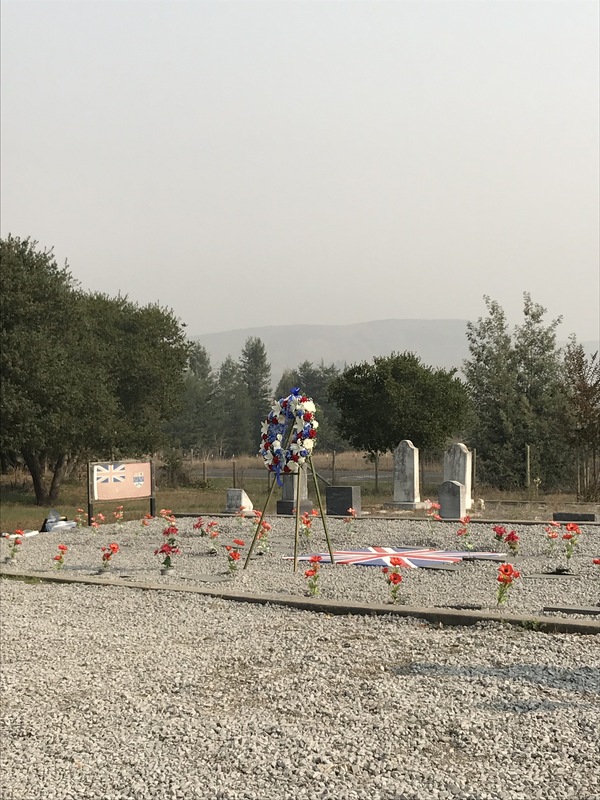 Their dedication to the care of this sacred site is an act of true remembrance. 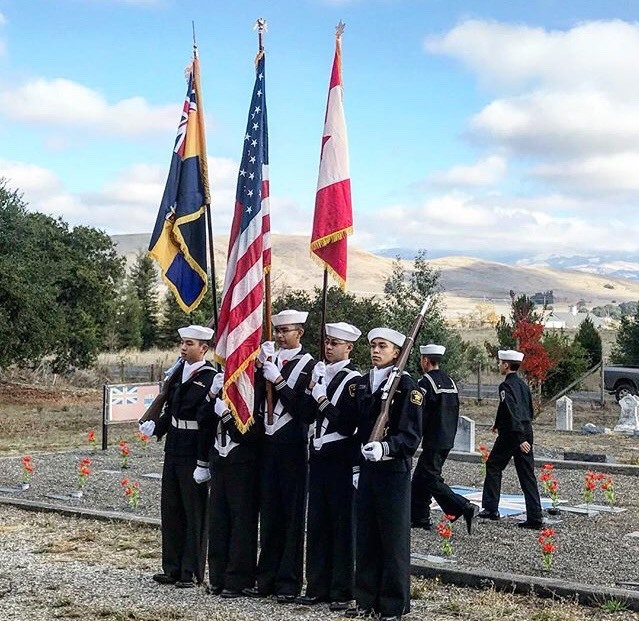 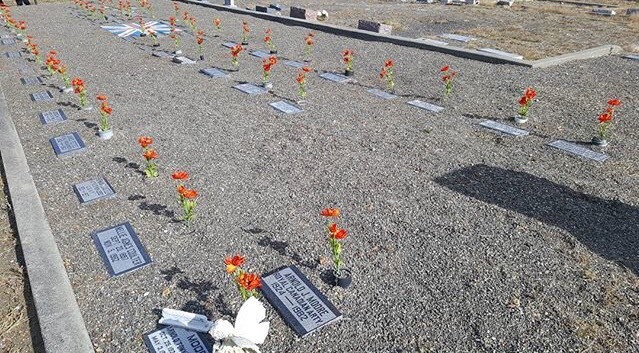 This year we also wish to thank the US Naval Sea Cadet Corps – Arkansas Division for their hard work in renovating the cemetery this year. 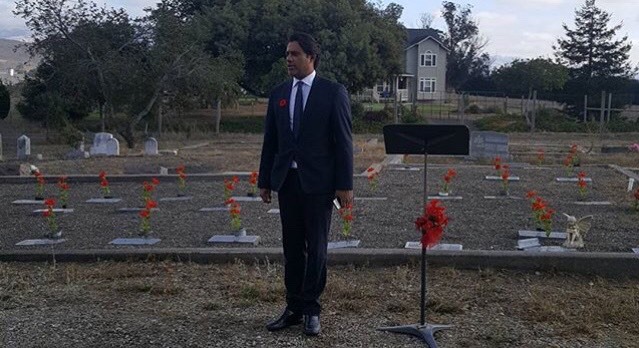 Please stay for a group photo at the conclusion. 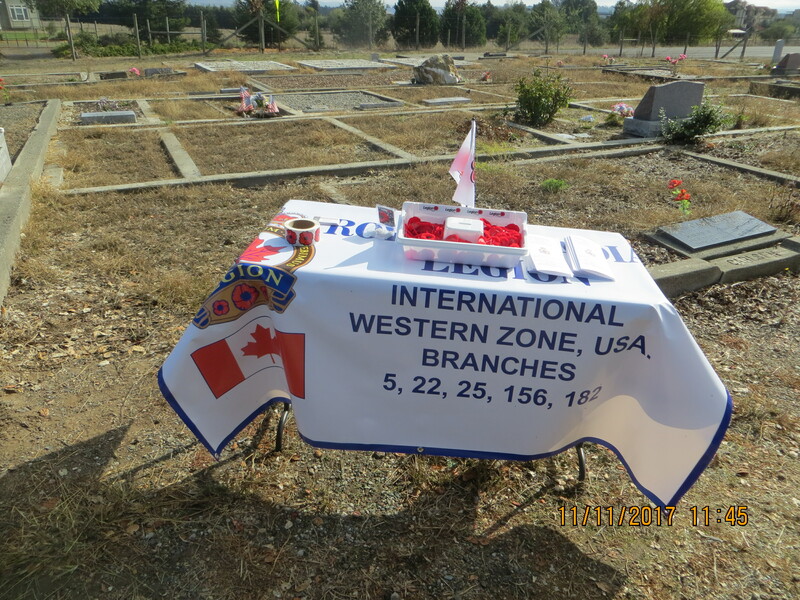 Branch Members are encouraged to gather for a no-host lunch at the site of their choosing. 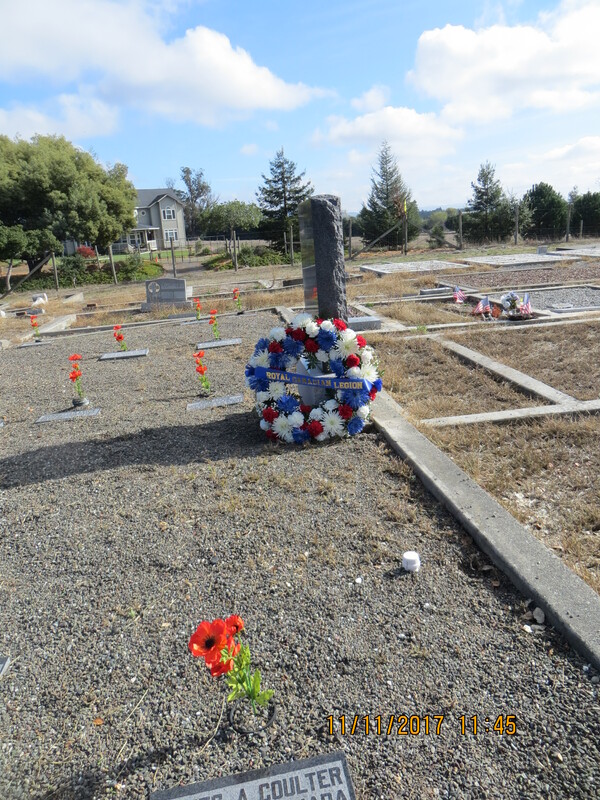 Restrooms courtesy of Liberty Elementary School adjacent to the Cemetery. 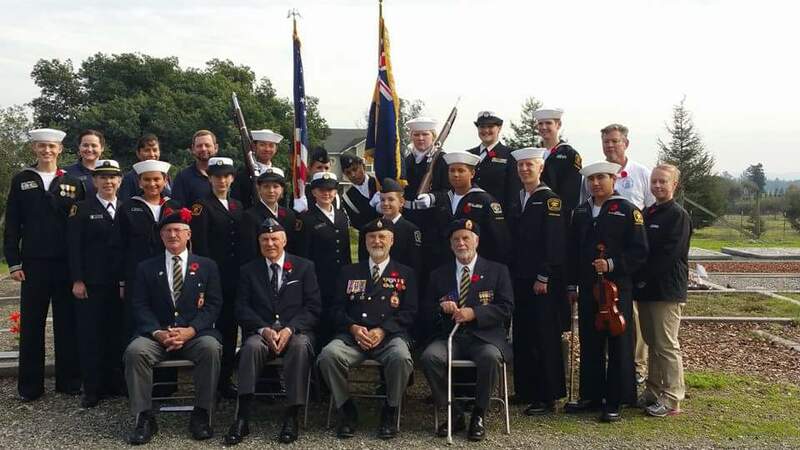 Please remember that the Festival of Remembrance will be at Grace Cathedral on Sunday, 11 November. 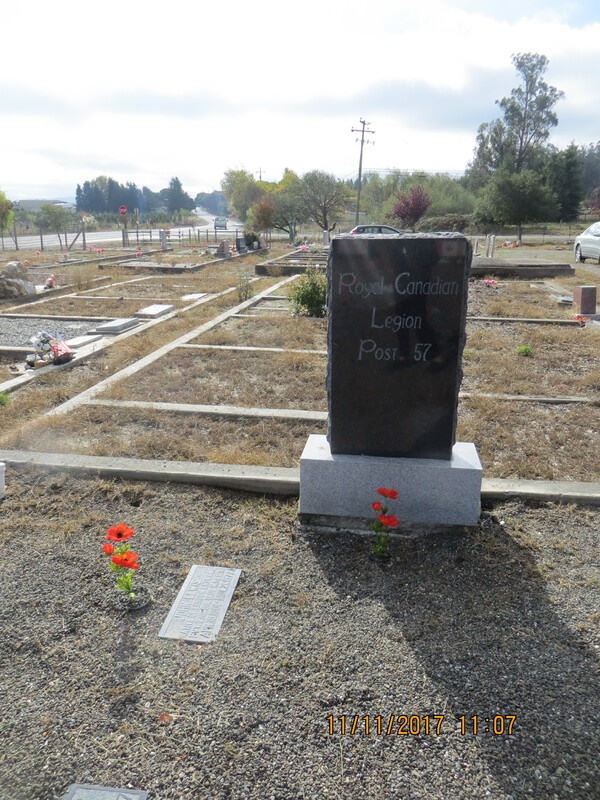 Please arrive by 2:30pm. 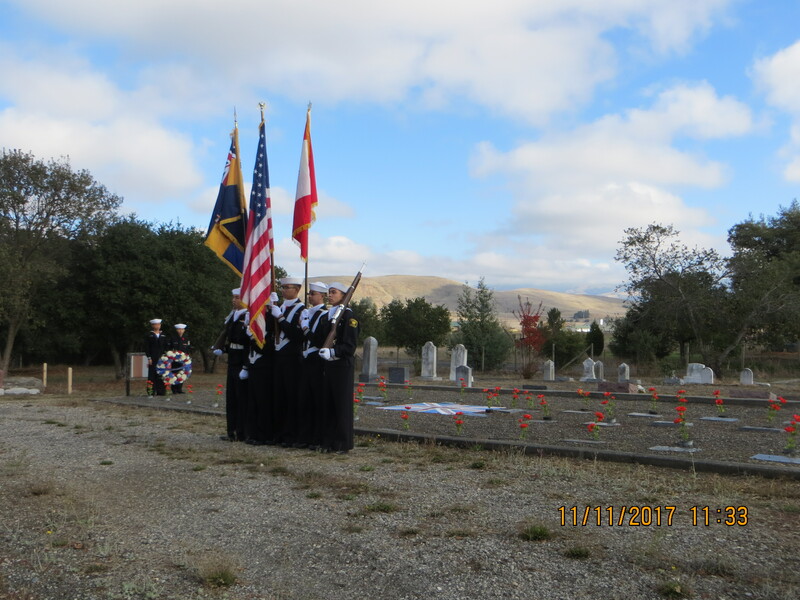 The parade salutes and Color Guard Present Arms. 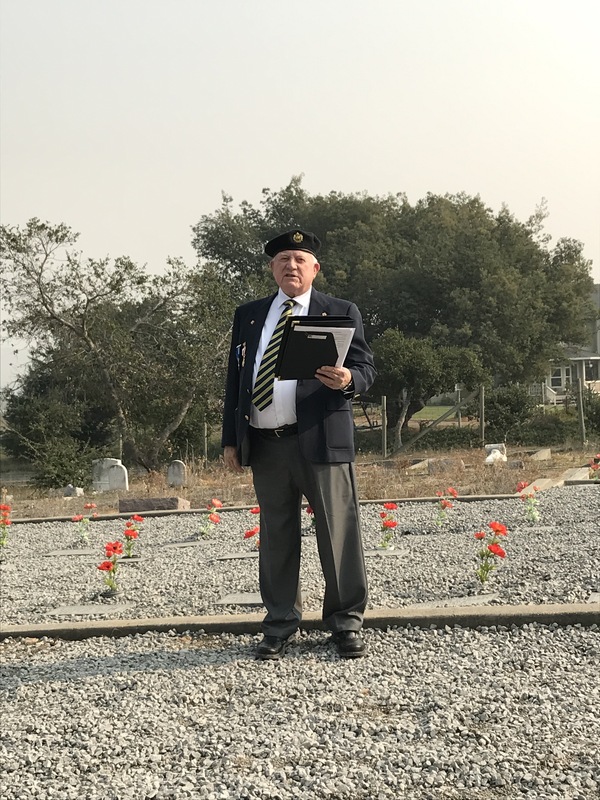 “Today we remember and pay our respects to those comrades whose death we mourn, but whose spirit still lives. 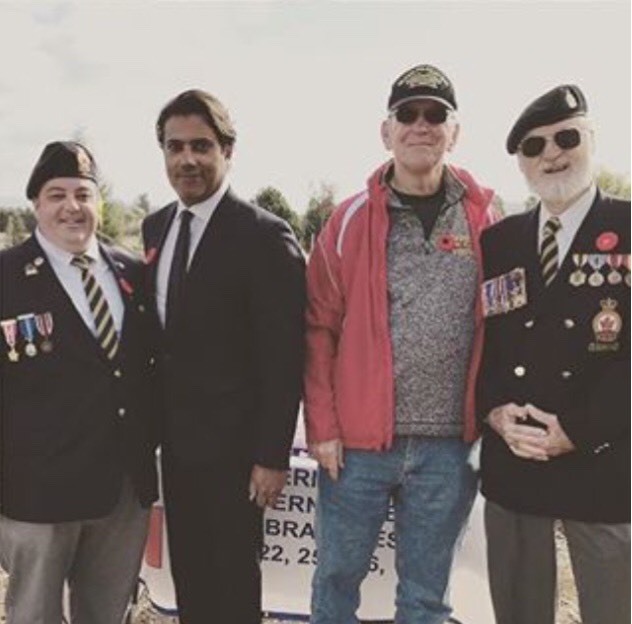 May we strive to promote unity and the spirit of comradeship, never forgetting the solemn obligation we have assumed as members of the Royal Canadian Legion and remembering them. 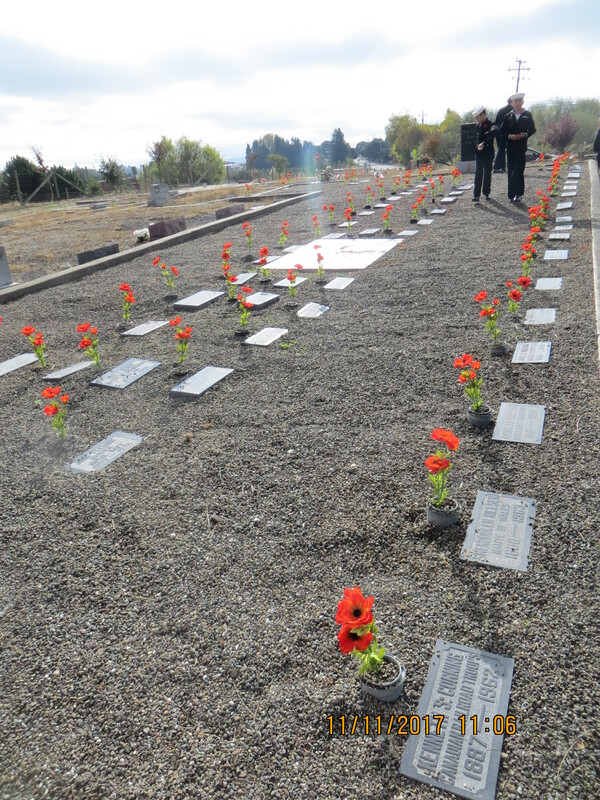 May we ever pray; “Lord God of Hosts be with us yet – Lest We Forget“. 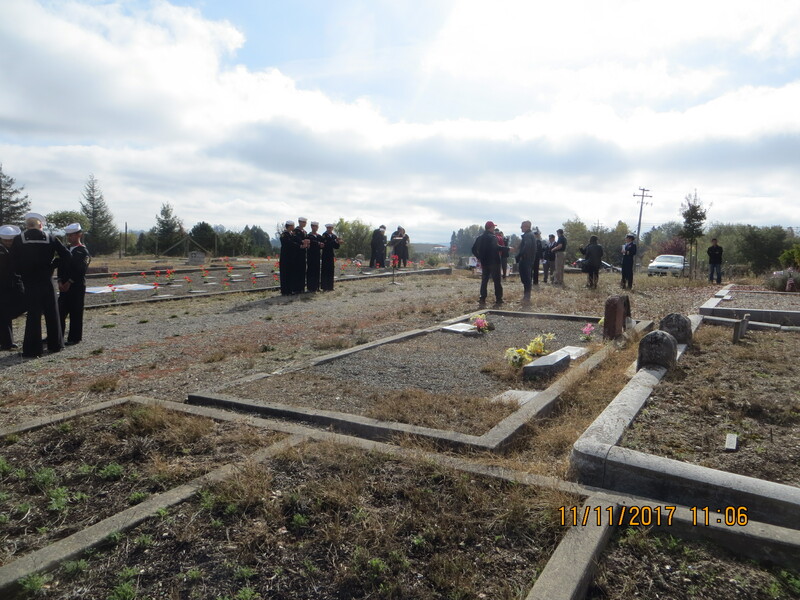 Please note that we neglected to take the group photo this year. This entry was posted in Remembrance Day and tagged Remembrance Day on November 10, 2018 by Michael K. Barbour. 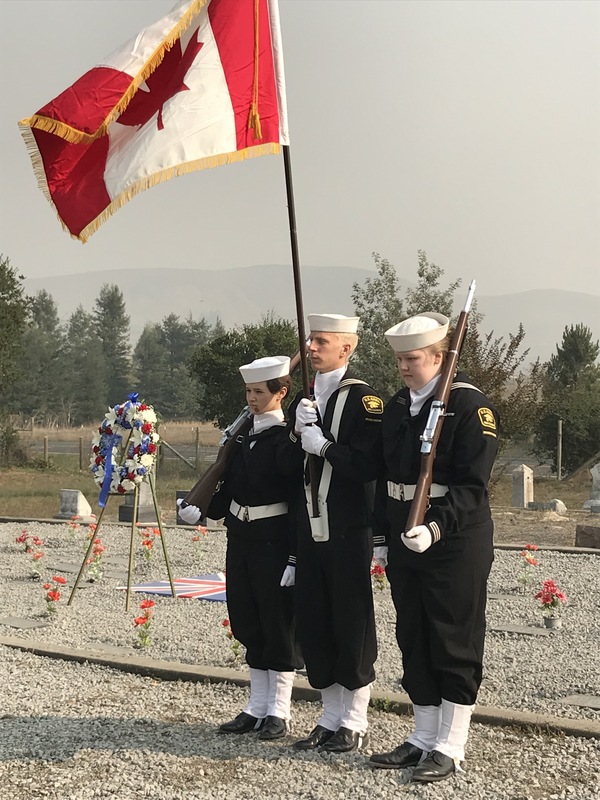 This year, as every year since 1918, on the 11th hour of the 11th day of the 11th month, bugles will resonate across the United States and Canada to remember those who lost their lives defending our liberties. 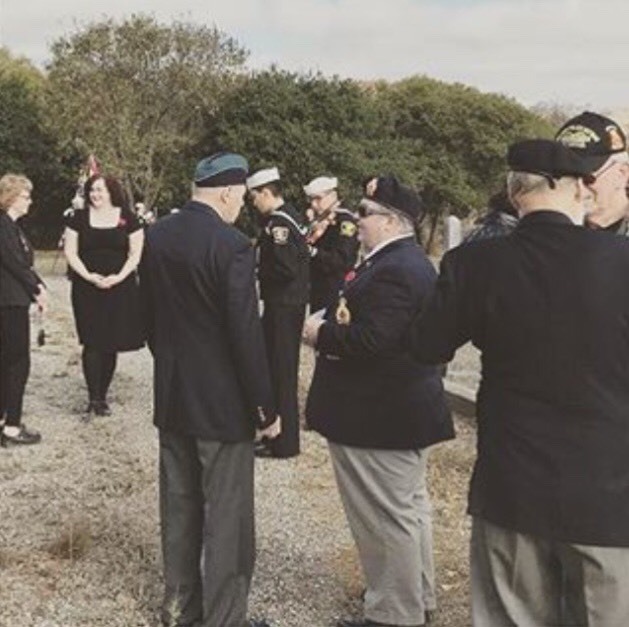 In ceremonies across our two countries, wreaths will be laid at war memorials, and veterans and soldiers will parade to honor the fallen. 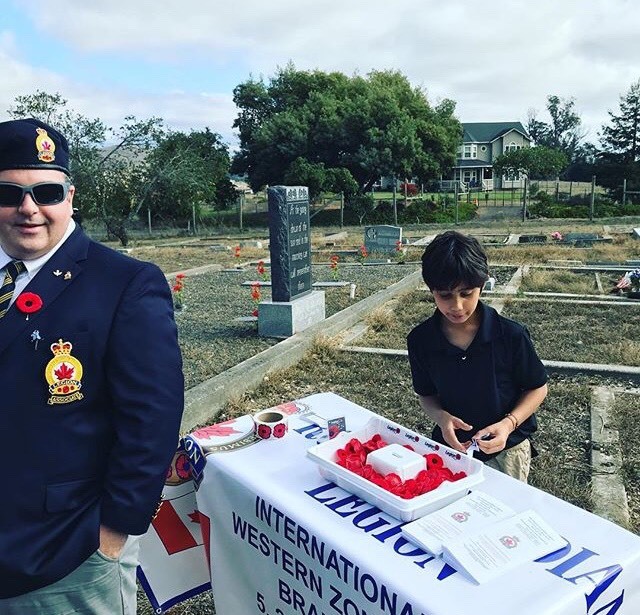 This year’s Veterans Day, or Remembrance Day as it is called in Canada, will be different, however, as we commemorate the 100th anniversary of the end of World War I. 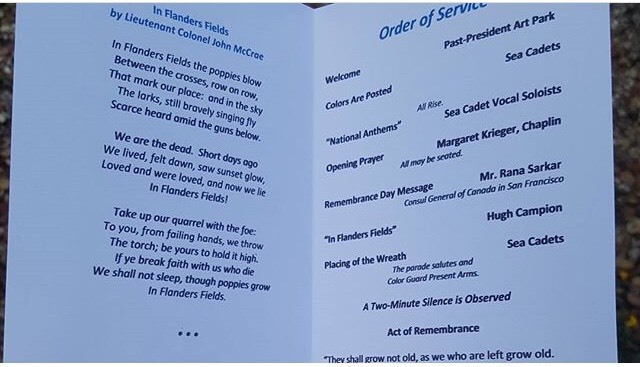 More than 116,000 Americans and 60,000 Canadians lie in Flanders’ Fields and elsewhere, having fought and made the ultimate sacrifice for their countries. 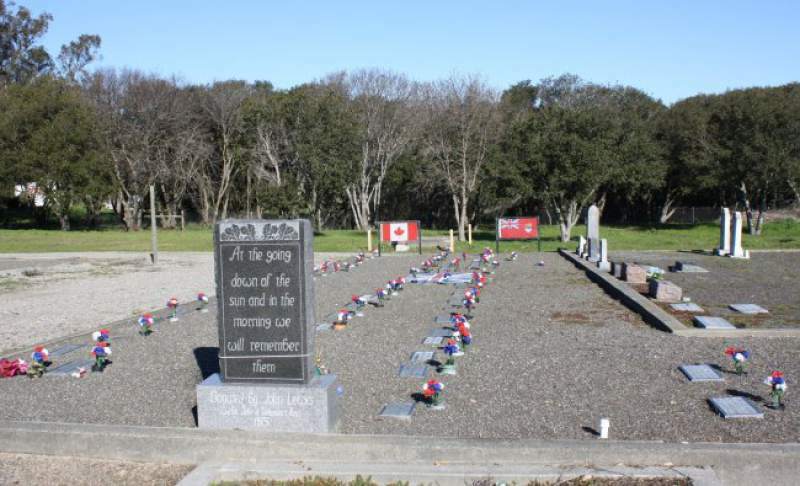 It’s well known that Canadians fought and died with Americans in two world wars and Korea. 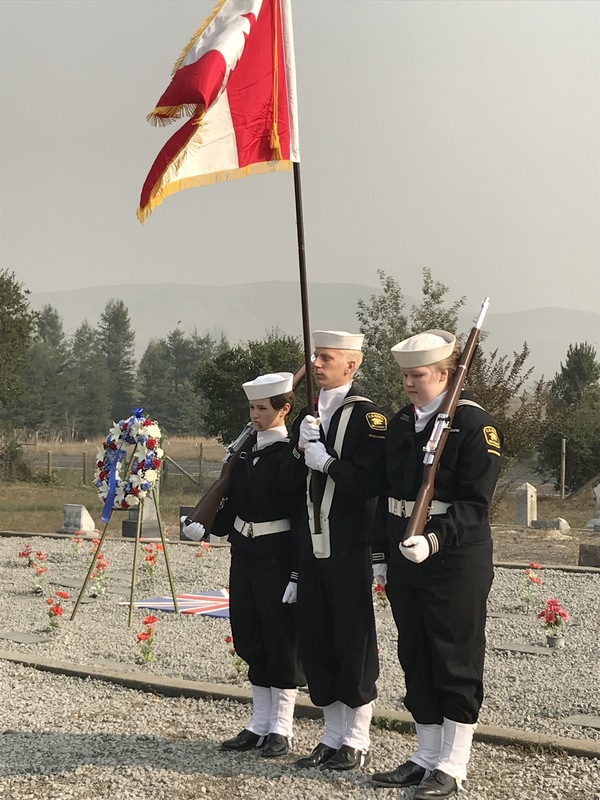 We joined the U.S.-led coalition in Afghanistan after 9/11. 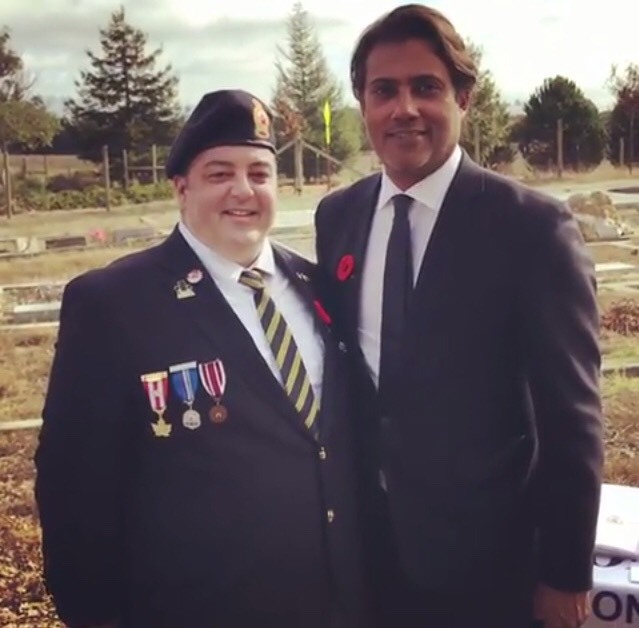 We are both founding members of NATO. 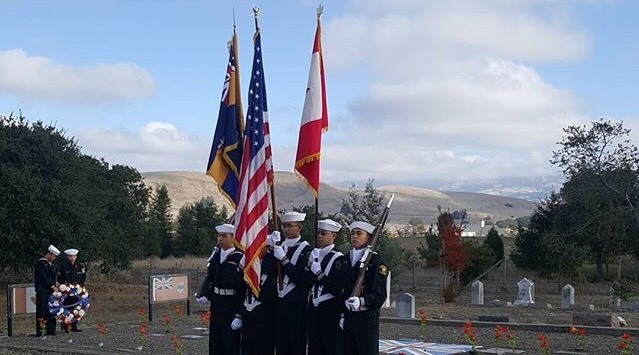 And, this year, we celebrated the 60th anniversary of NORAD, the North American Aerospace Defense Command. 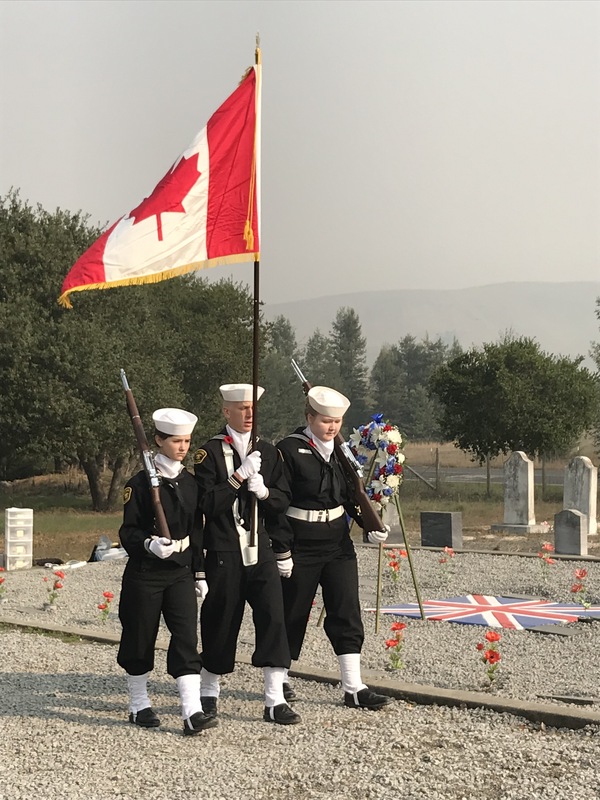 As this shows, over the past two centuries, Canada and the United States have built the strongest partnership between any two countries. 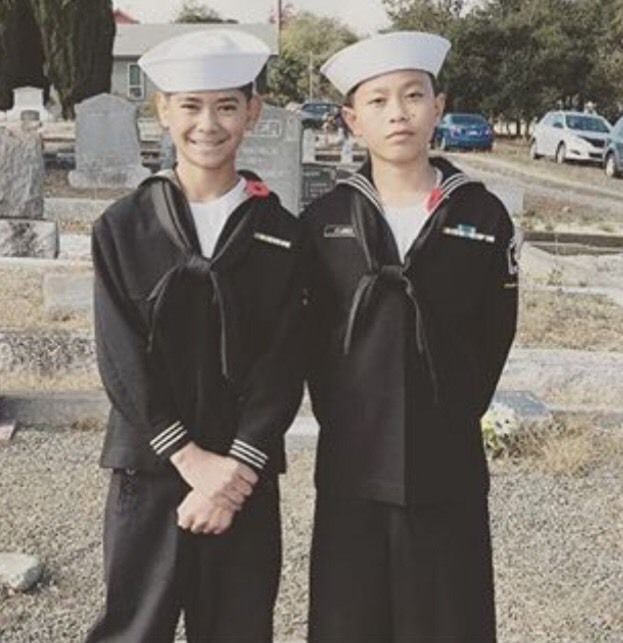 What is less well known is how deep and personal these connections are. More than 40,000 Americans enlisted in the Canadian Expeditionary Force, Canada’s World War I army. 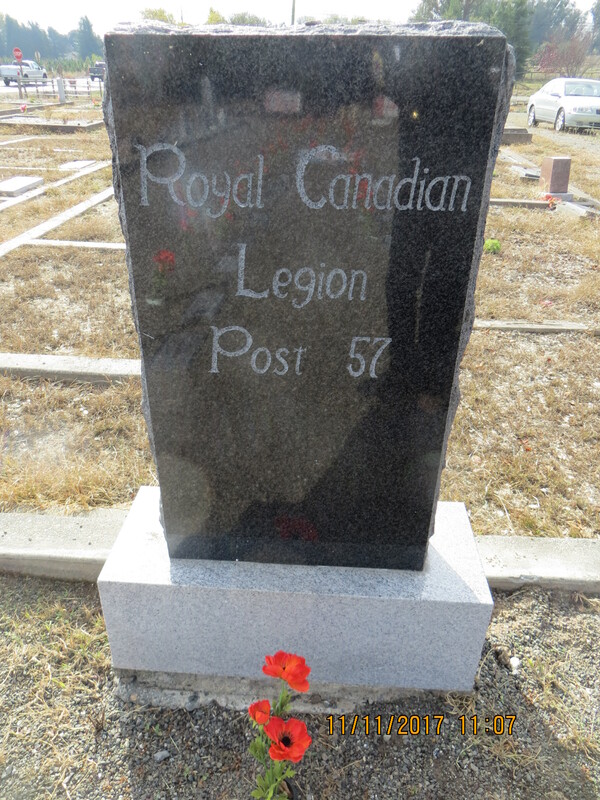 They served throughout the Canadian armed forces in such large numbers that they formed an “American Legion,” staffing the 97th Battalion of the Canadian Expeditionary Force. 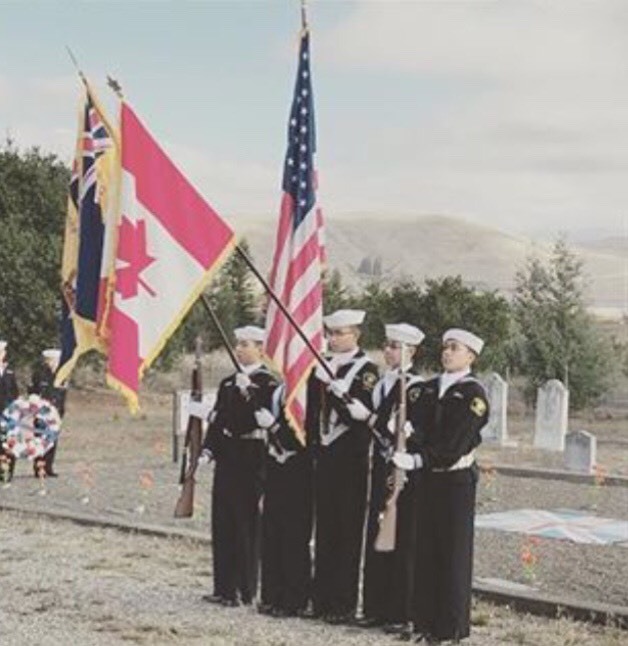 Americans also served in other CEF battalions, fighting in the trenches, flying Canadian planes, tending Canadian wounded and sailing on Canadian Navy and merchant marine ships. 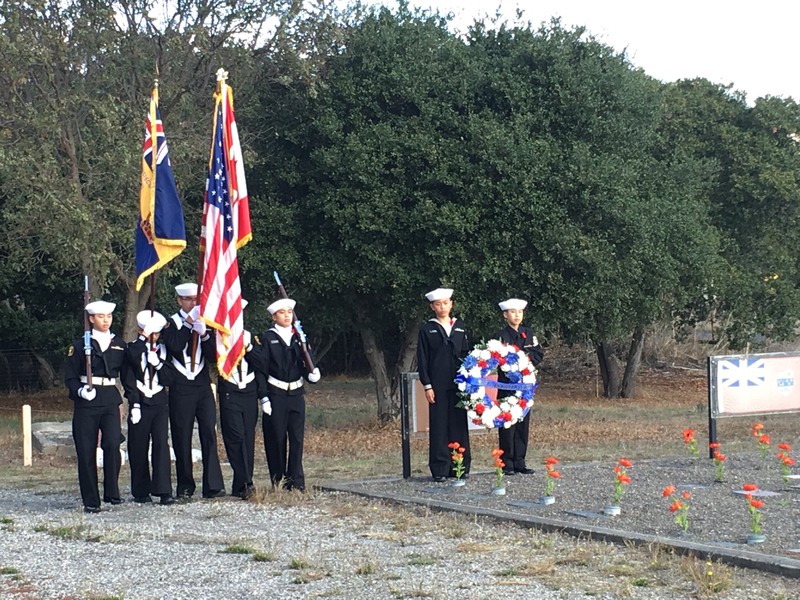 Those Americans fought with distinction, and an estimated 2,700 of them never made it home. 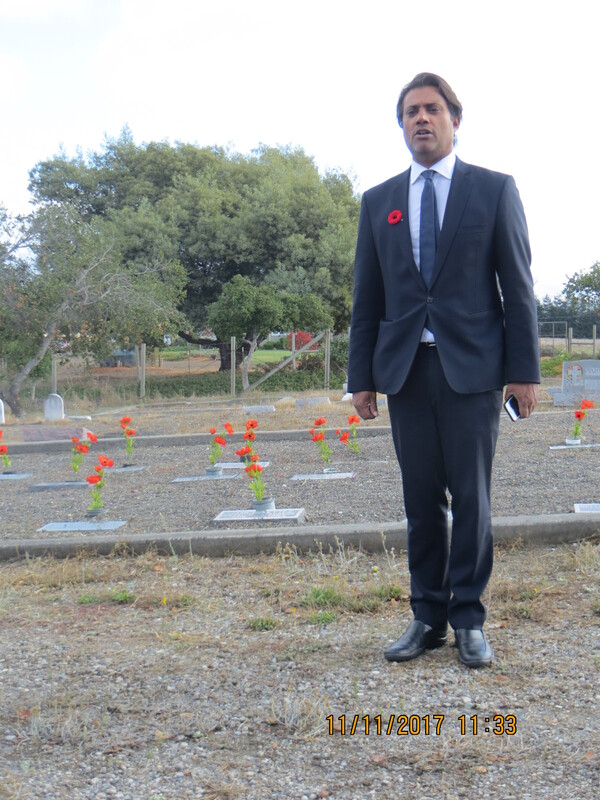 This week, as we mark the centenary of the end of World War I, we will remember them. 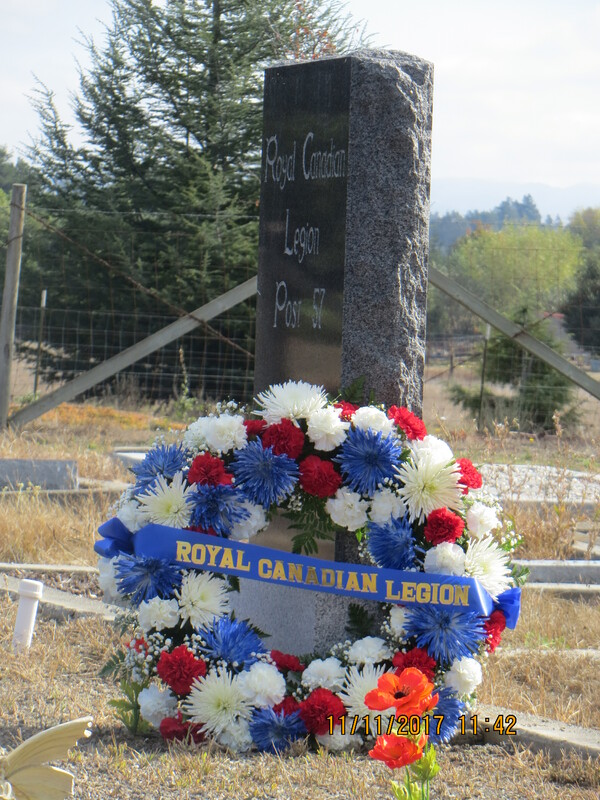 The Royal Canadian Legion, U.S. 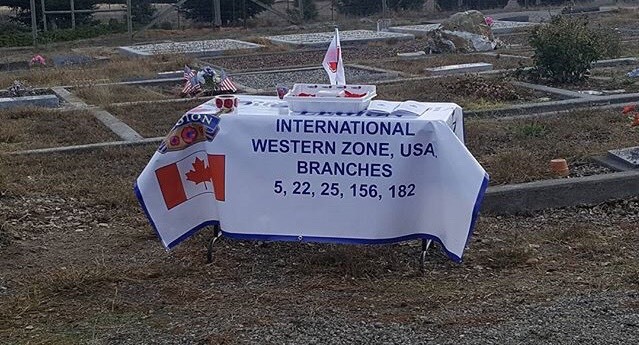 Zone, Branch No. 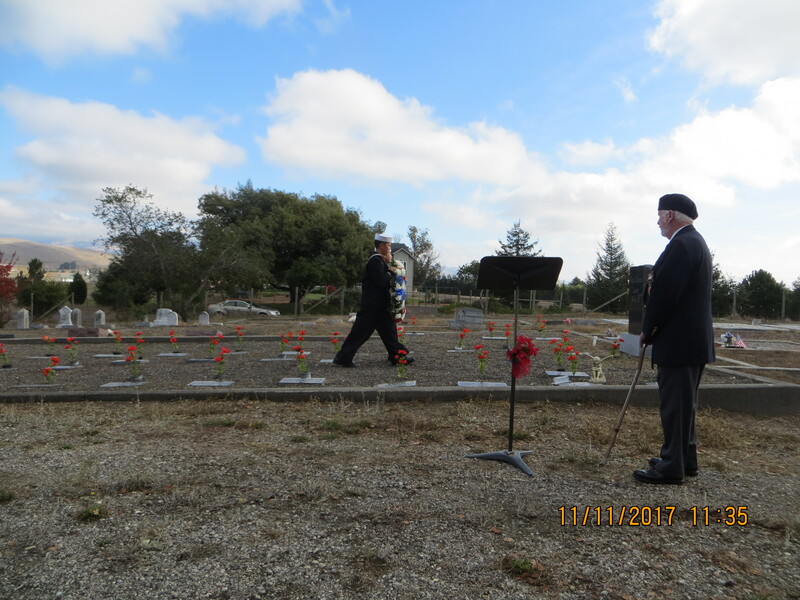 25, will observe this anniversary at 10:30 a.m. Saturday at Liberty Cemetery in Petaluma. 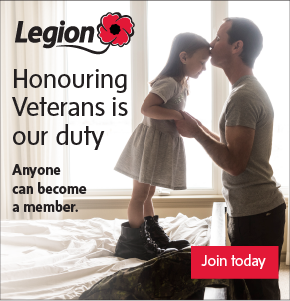 All are invited. 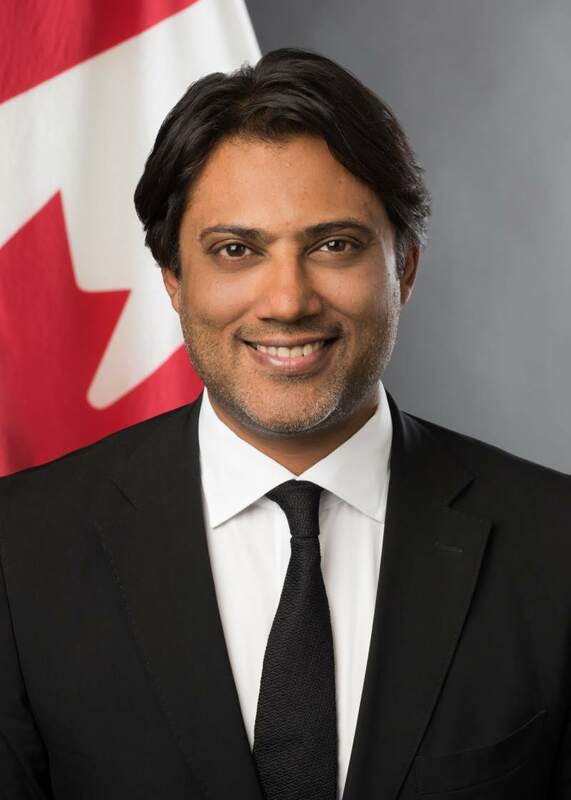 Rana Sarkar is consul general of Canada in San Francisco. 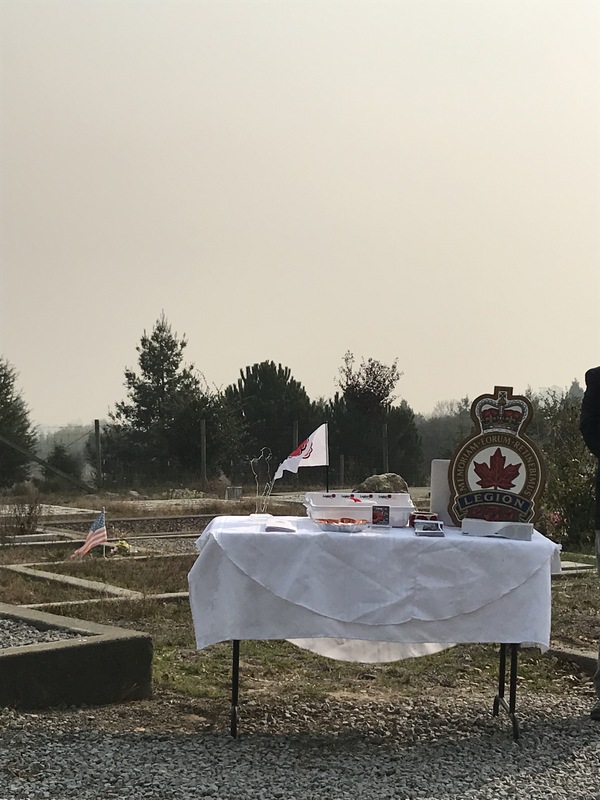 This entry was posted in Consulate General of Canada in San Francisco, Remembrance Day, The Press Democrat and tagged Consulate General of Canada in San Francisco, Remembrance Day, The Press Democrat on November 8, 2018 by Michael K. Barbour. 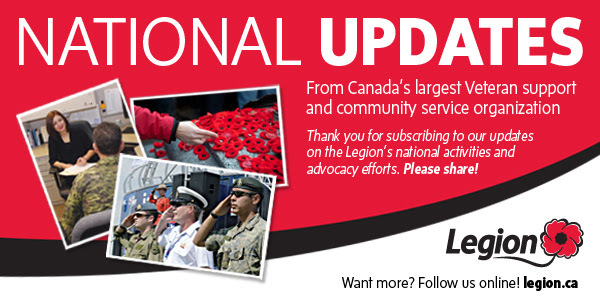 To receive updates in French, update your subscription preferences. 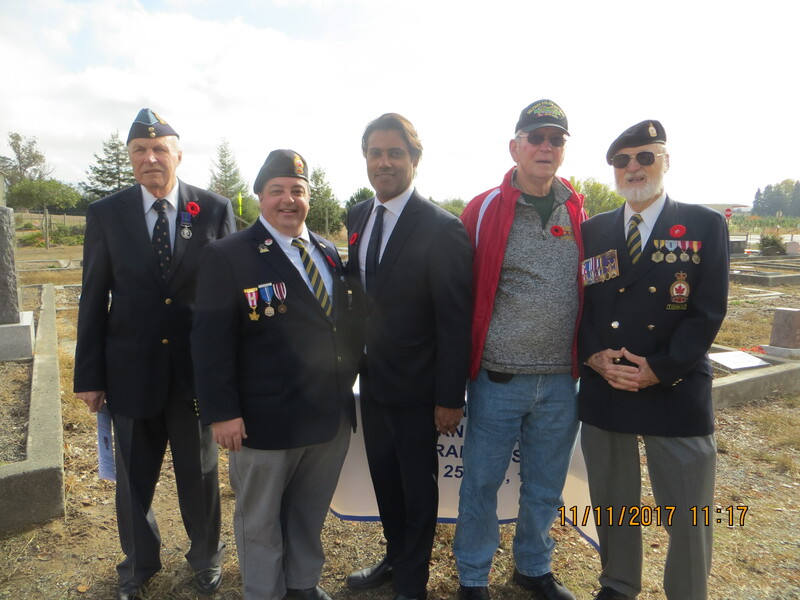 Tens of thousands of people filled the grounds and streets around the National War Memorial, to remember and thank those who have given their lives in the military service of their country. 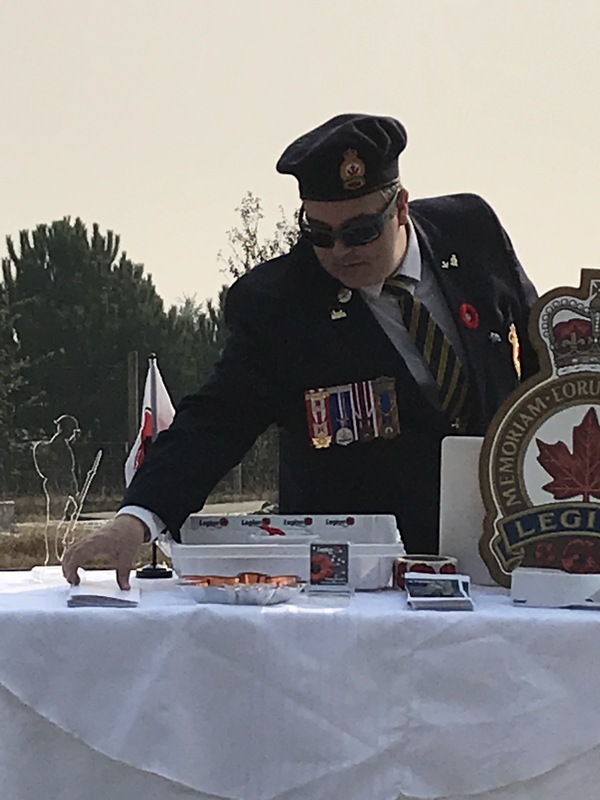 Copyright © 2017 The Royal Canadian Legion, All rights reserved. 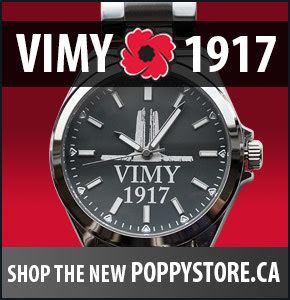 You are receiving this email because you opted in at our website. 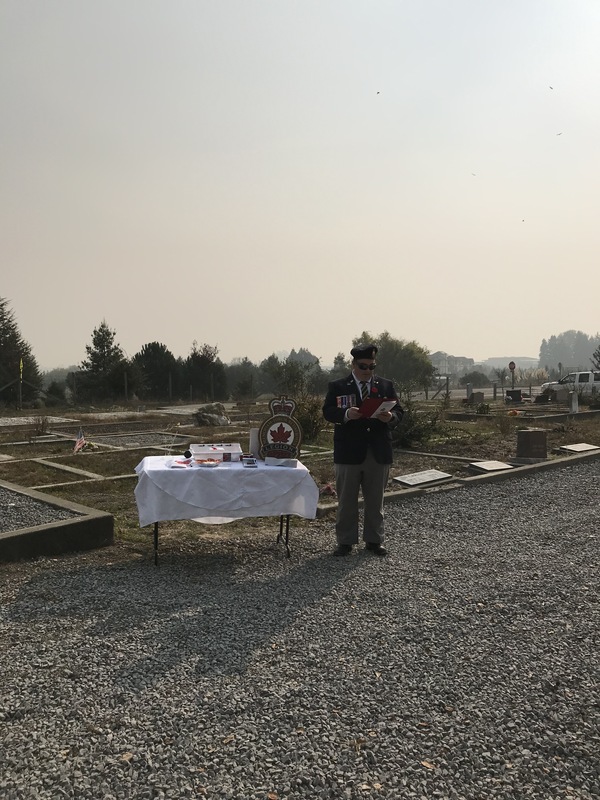 Vous avez reçu ce courriel suite à votre choix sur notre site Web . 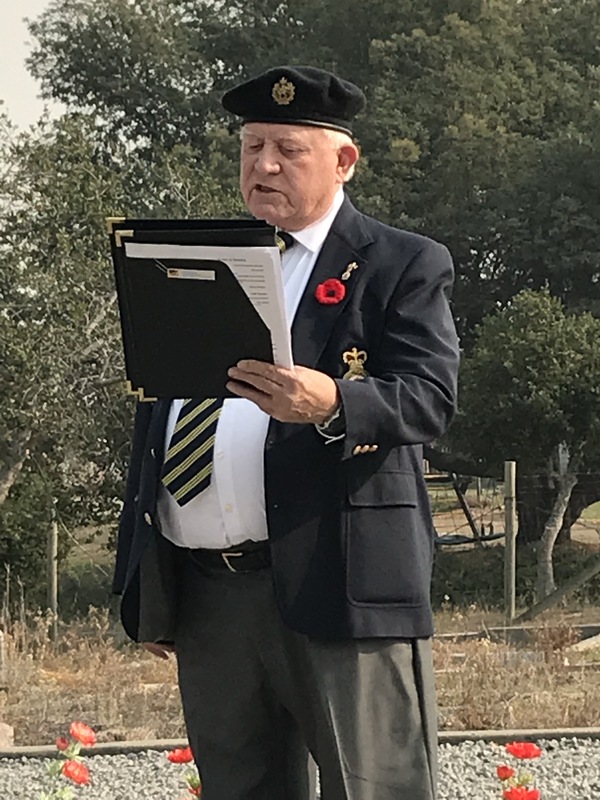 This entry was posted in Dominion Command, Remembrance Day and tagged Dominion Command, Remembrance Day on November 12, 2017 by Michael K. Barbour. 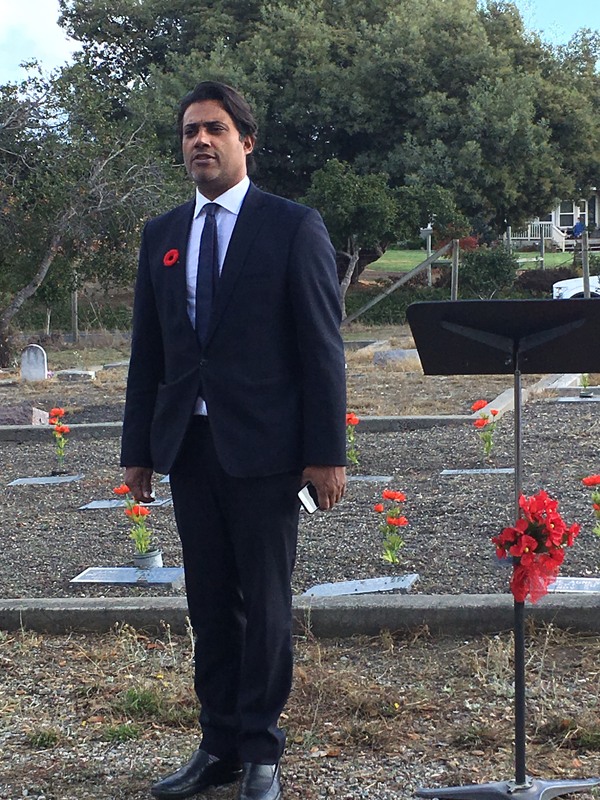 This year, we were also fortunate enough to have Rana Sarkar, Consul General of Canada in San Francisco, attend to represent the Government of Canada. 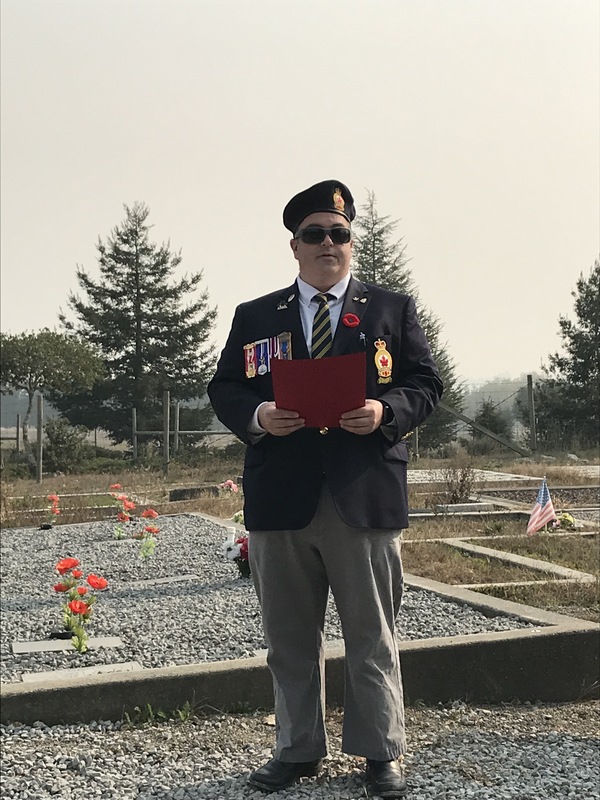 This entry was posted in Remembrance Day and tagged Remembrance Day on November 11, 2017 by Michael K. Barbour. 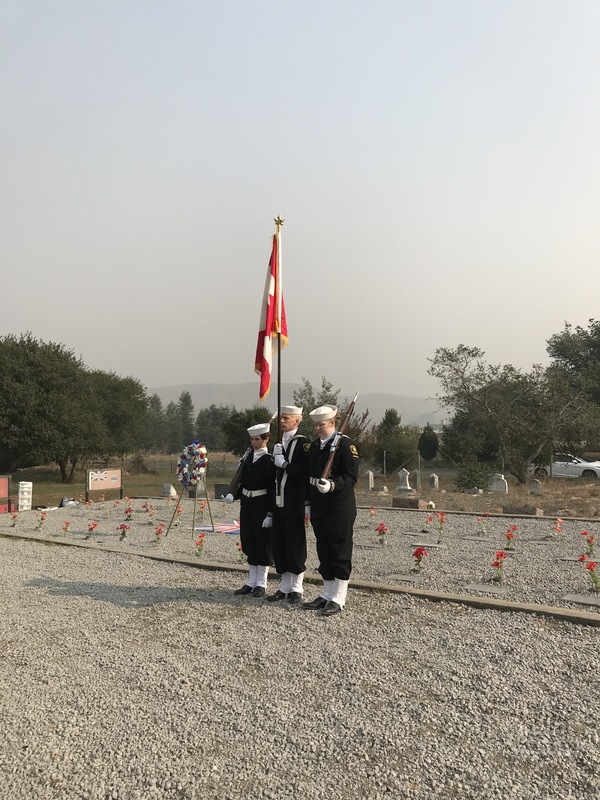 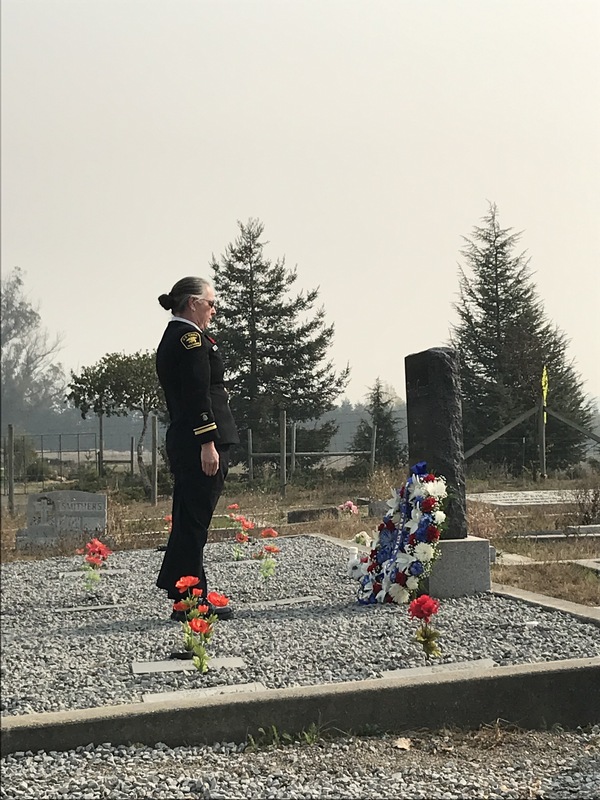 Please note that one month from today the Royal Canadian Legion US Zone, Branch #25, representing the San Francisco Bay Area, will be organizing formal Remembrance Day ceremonies each year that are open to the public. 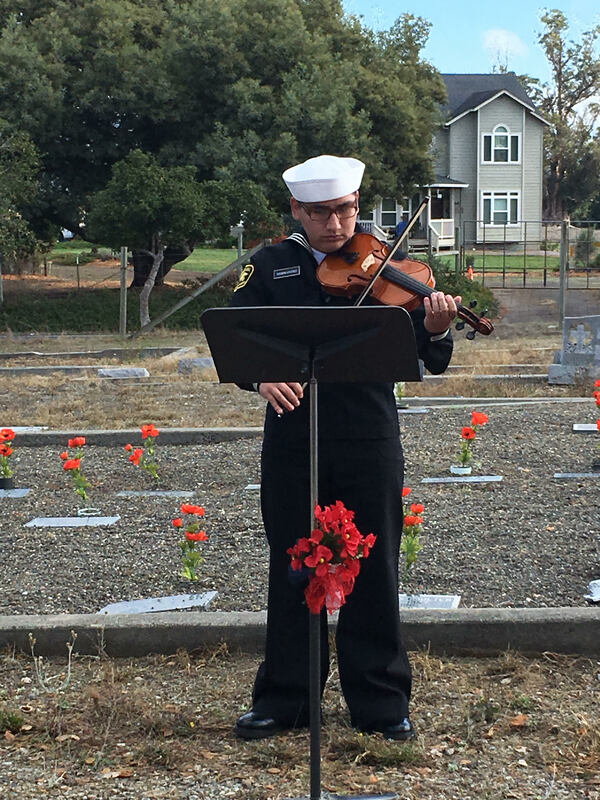 Each Remembrance Day is observed at Liberty Cemetery in Petaluma, CA. 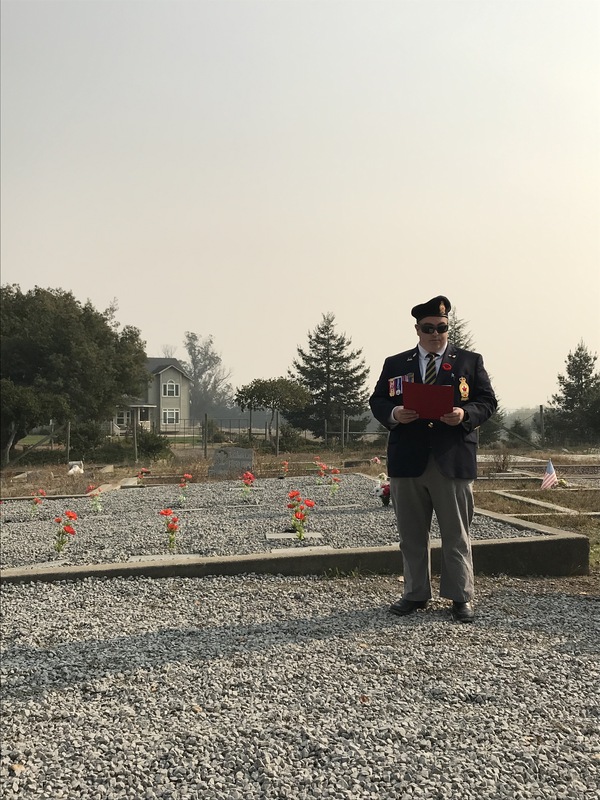 1:00pm – Small parade from the park in downtown Petaluma, organized by the municipality (information about the parade can be found at http://www.petalumaveteransparade.com/), the Legionnaires will march in this parade. 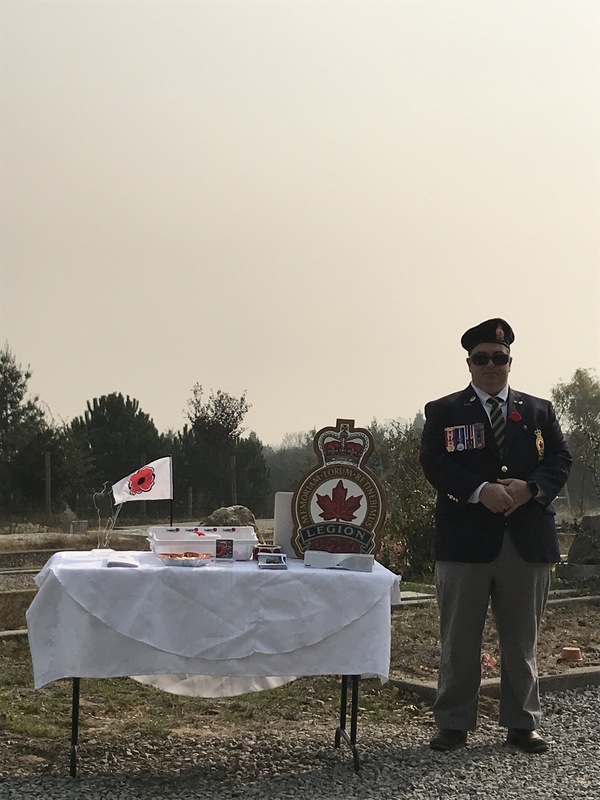 This entry was posted in Remembrance Day and tagged Remembrance Day on October 11, 2017 by Michael K. Barbour. 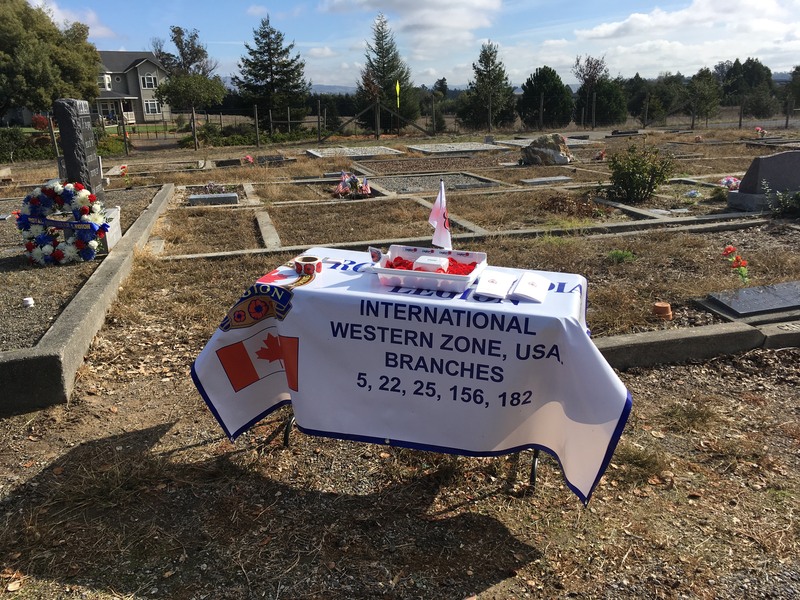 Each year the Royal Canadian Legion US Zone, Branch #25 representing the San Francisco Bay area, observes Remembrance Day at Liberty Cemetery in Petaluma, CA. 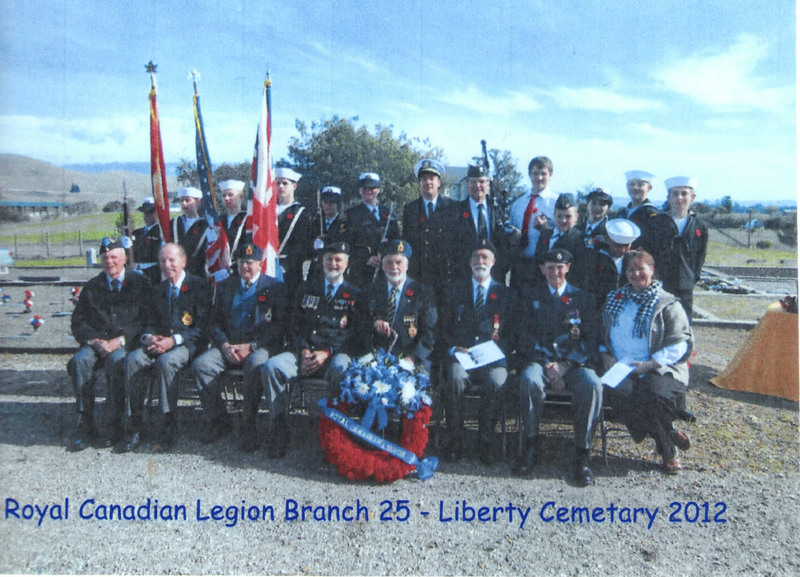 Here is an image of US Branch #25 members and our U.S. 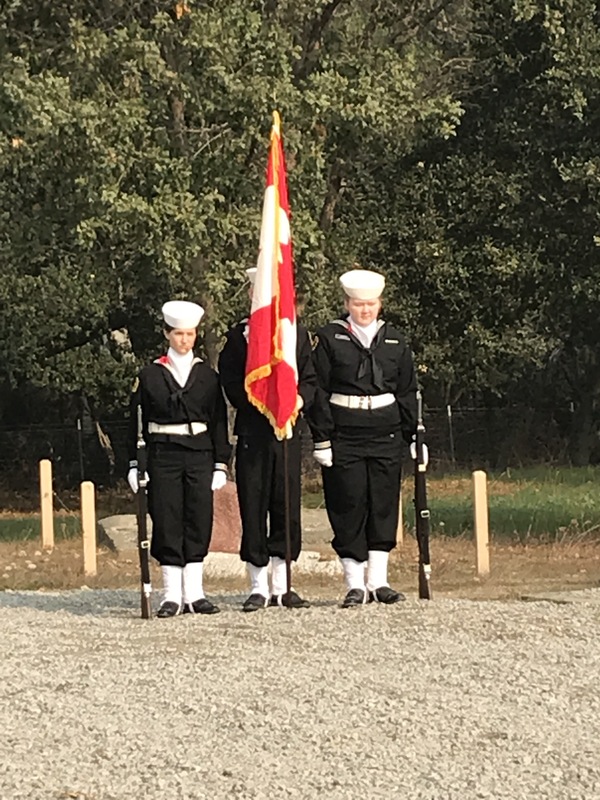 Naval Sea Cadet Corps (USNSCC) Arkansas Division who participated in that service. 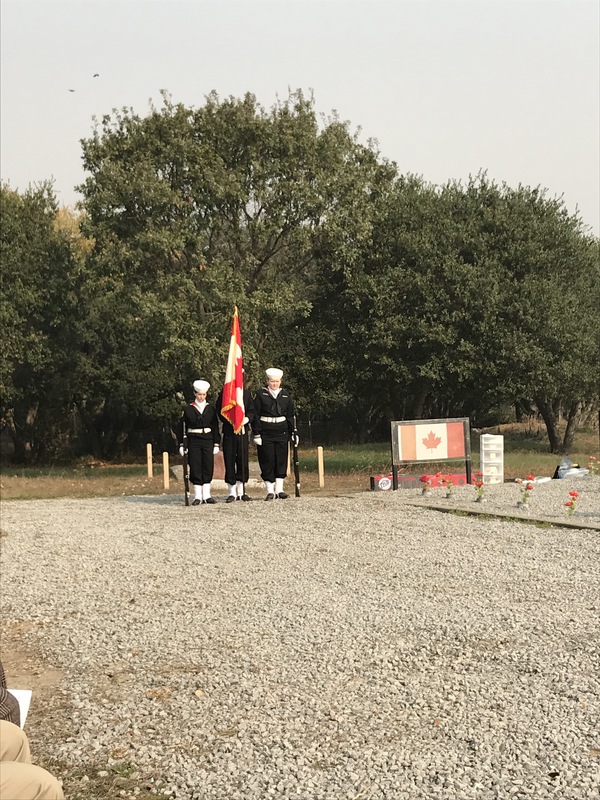 This entry was posted in Remembrance Day and tagged Remembrance Day on November 12, 2016 by Michael K. Barbour. 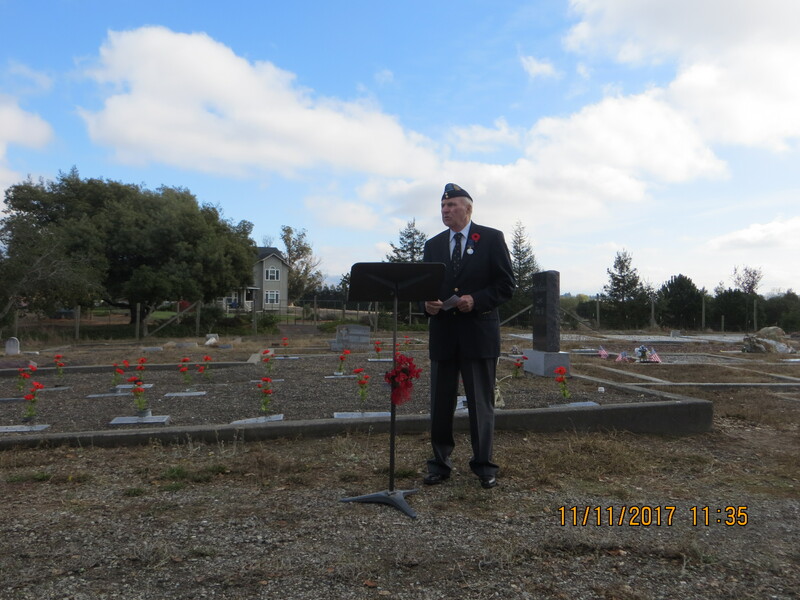 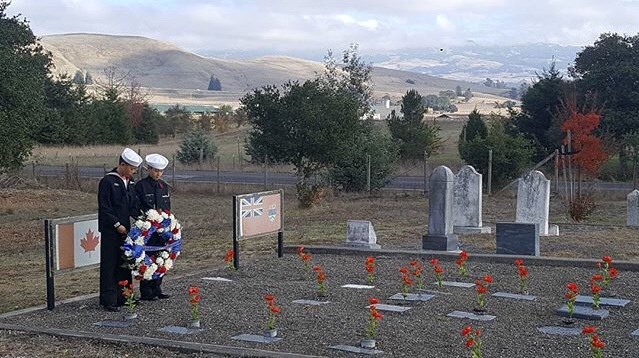 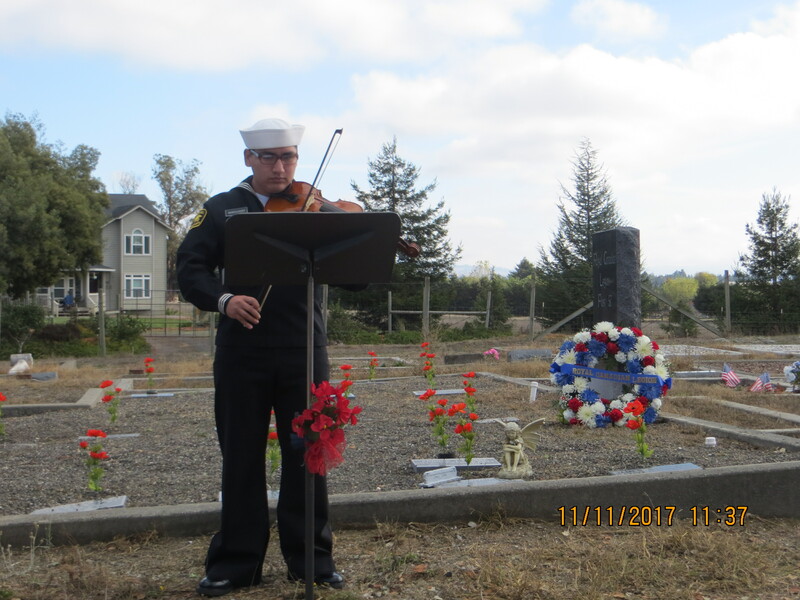 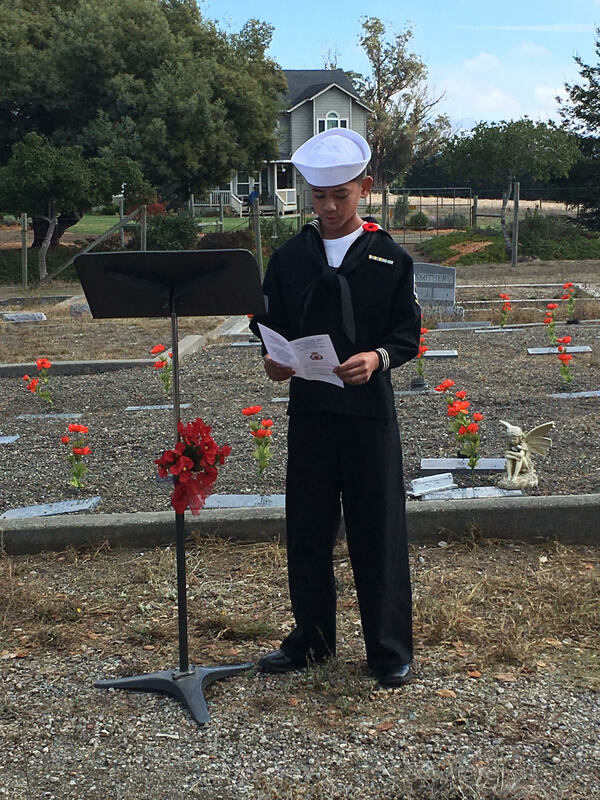 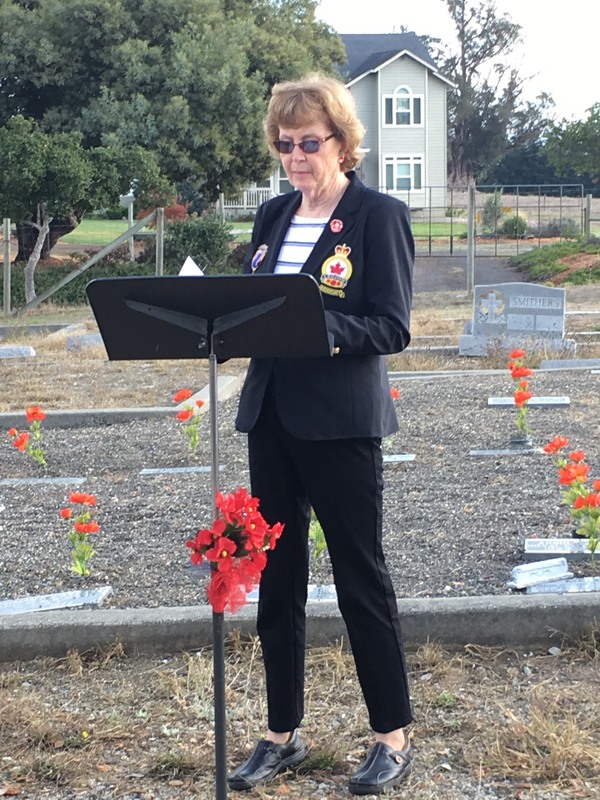 An image from our Remembrance Day service in Liberty Cemetery at Petaluma, CA. 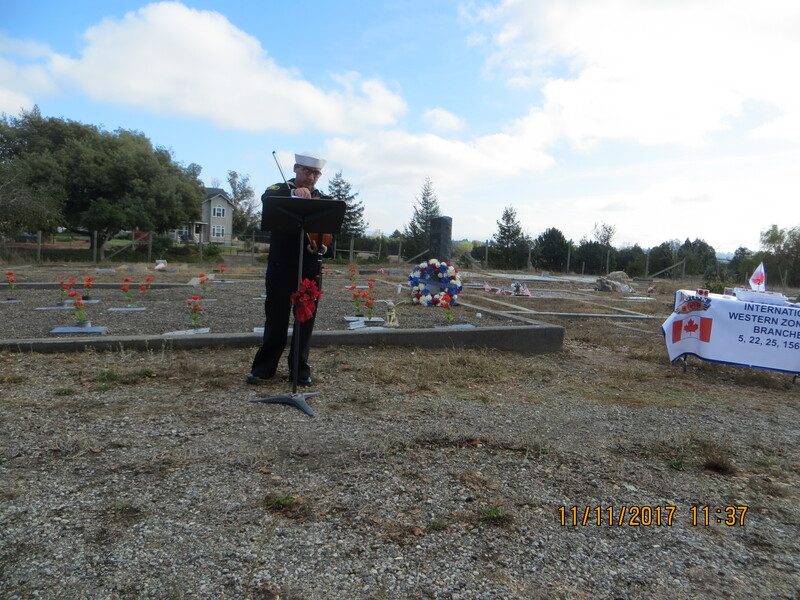 This entry was posted in Remembrance Day and tagged Remembrance Day on November 11, 2012 by Michael K. Barbour.